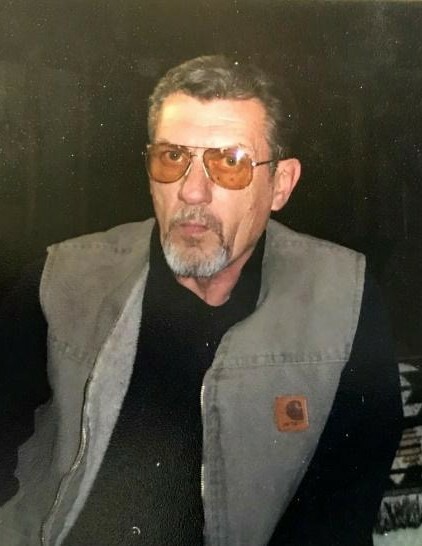 Arvid Carl Meikle, 72, of Layton, Utah, passed away on Friday, August 31, 2018, after a long battle to pancreatic cancer. Arvid is survived by his wife Sandra, daughter Valerie (Jeremy) Stettler, sons Clinton Petersen, Justin (Kenzie) Meikle, Linel Meikle, Kalani Meikle, sisters June (Joe) Johnson, May (Glen) Deti, Twila (Greg) Ferguson, grandchildren; CJ, Kaden, Dusty, Jordan, Stetson, Kylee, Merissa, Lane, and Easton. Arvid was born on May 14, 1946, in Rexburg ID to parents Linel and Olga Meikle. Arvid attended college and achieved several careers and achievements during his lifetime; journeyman machinist, certified welder, domestic and geothermal driller, heavy equipment operator, and engineer. He was a member of the International Union of Operating Engineers, and Utah Airboat Association. Arvid also designed and built saws, pneumatic hunting chair, shotgun/rifle recoil pad, and airboats. Arvid loved fishing, hunting, camping, singing, and playing guitar with his family. He enjoyeddesigning, building, and fixing things. Arvid also enjoyed cooking, and smoking meats. He looked forward to giving treats to his grandkids when they came to visit. Arvid had a big heart, he would give the shirt off of his back to help anyone in need. Funeral service will be held at 2:00 pm, Friday, September 7th at Annis Little Butte Cemetery, E Menan Lorenzo Hwy, Rigby, ID 83442. Memorial donations in lieu of flowers may be made by following the "appeal for donations " link on this site.